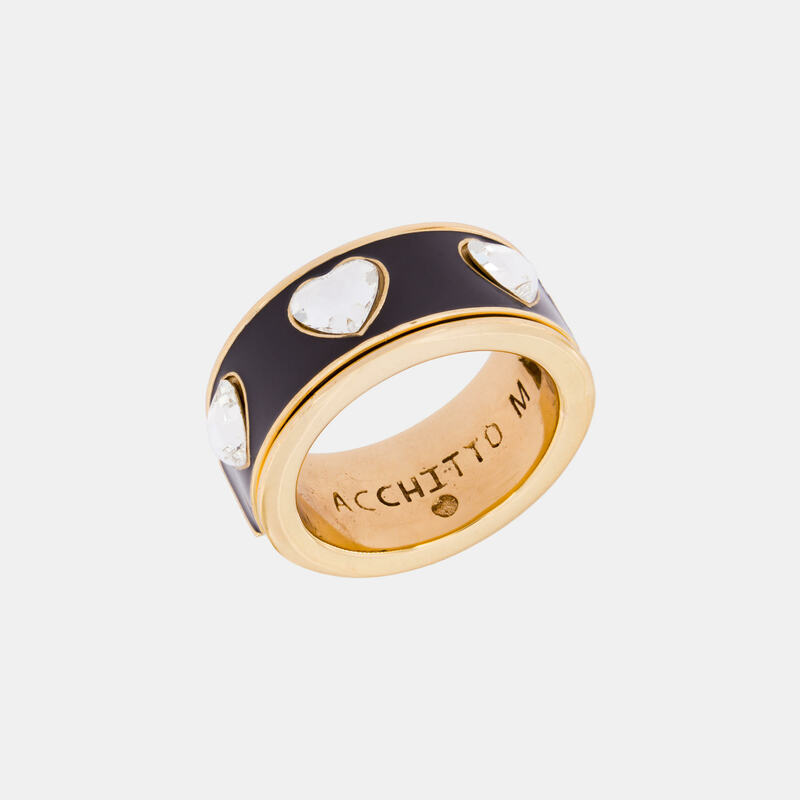 Another ring inspired by the Victorian Age, this opening ring is embellished with an outer band of black enamel on which heart-shaped crystals are placed. 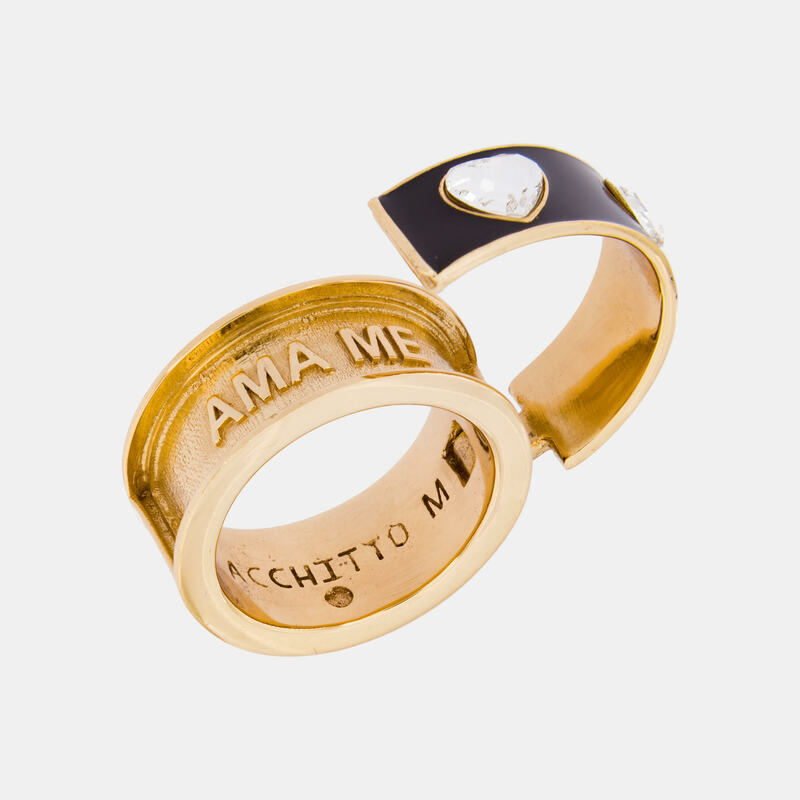 Inside it presents a hidden message, AMAME, a neologism formed by the merger of several words AMA / LOVE + ME / ME = AMA ME / LOVE ME. 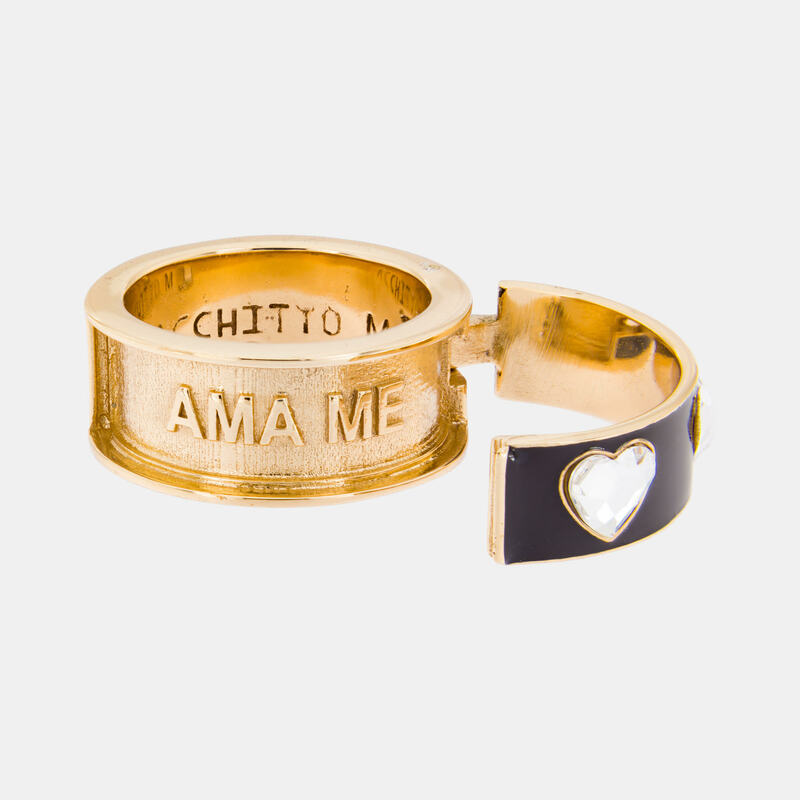 A cute little ring to add to your ring collection.